Big readers on a small budget have always had a hard time. Library waiting lists can get pretty long, and sometimes titles aren't even available locally. 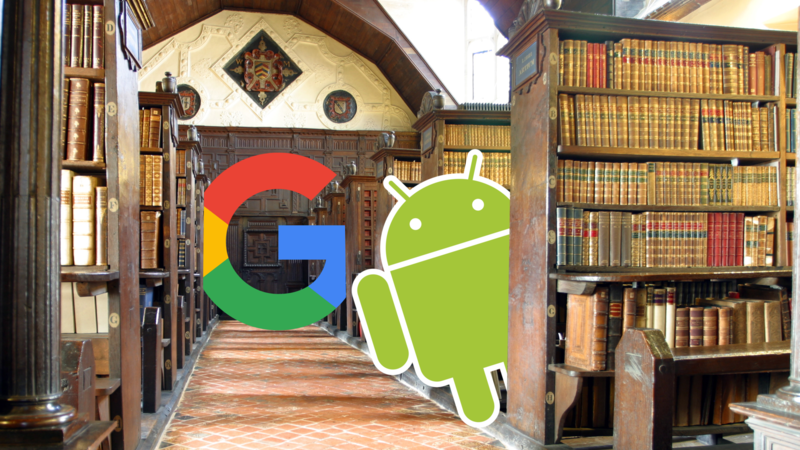 But today Google added a new feature to its search that helps library patrons everywhere. Now the next time you search for a book title, you can see if the e-book is available to borrow from your library. This new feature works on both mobile and desktop and manifests simply. 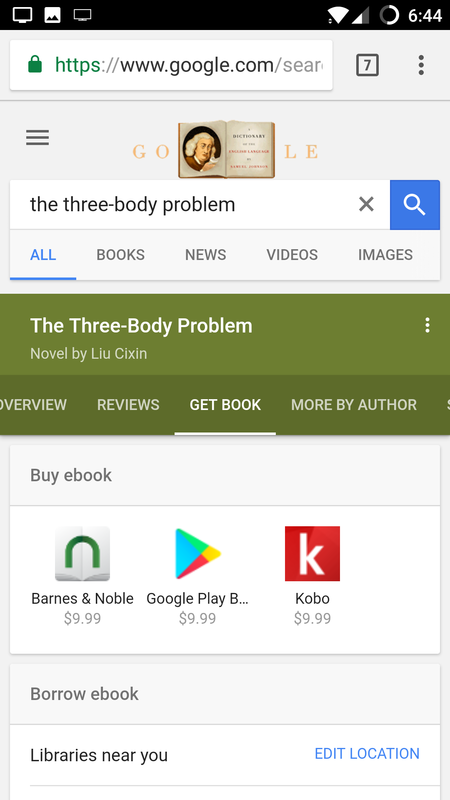 If you search for the title of a book, you'll see one of two things. On desktop search, there's an additional heading in the detailed results/information card on the right. But on mobile, it's buried in the Get Book tab, just under the Buy ebook card. I did run into some inconsistency with this new feature. While some books would bring up the Borrow ebook card without any problem, other titles just wouldn't trigger it. While Cixin Liu's "Three-Body Problem" had the extra field in results, searches for N. K. Jemisin's recent Hugo Award winner "The Obelisk Gate" didn't trigger the same behavior. I first thought it might have to do with availability, but the card appeared for titles with universally long waiting lists, too. Behavior was the same for search on both desktop and mobile, and I'm at a loss to explain why. For books that did trigger the result, selecting a library brought me to my library network's system, where I could sign in and check availability or place a hold. That's going to vary based on the network your nearby libraries use, though, so YMMV. Library eBooks can become a very complicated subject, but if your library uses Hoopla or OverDrive, you should have a pleasant experience navigating your local selection, and there are apps available for each. Some services even let you sync your rentals to a Kindle. Although these new results might show nearby libraries, and they easily link you to the book you're looking for within the applicable borrowing network, it seems there might be a few kinks to work out. Not that that's anything new, most of us that use the library have had to deal with waiting. At least now there's a faster and more convenient workflow. 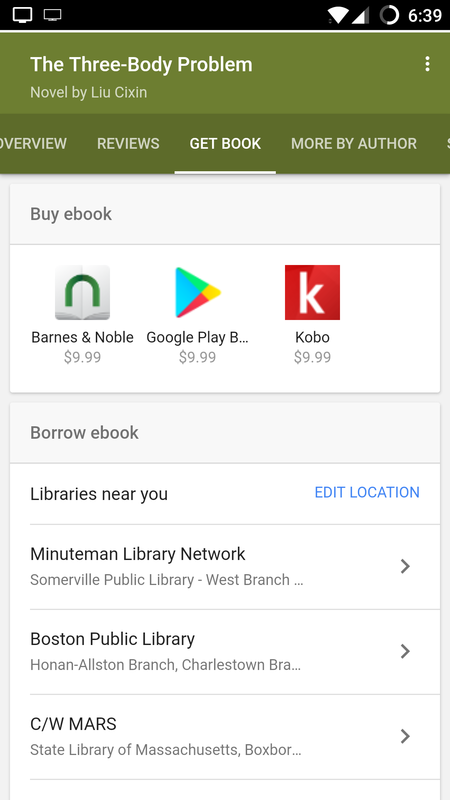 For those of us that make good use of our library's eBooks, it's nice of Google to keep an eye out. EBook rentals are an excellent way to save cash if you're an avid reader — some of us even need a dedicated book budget. 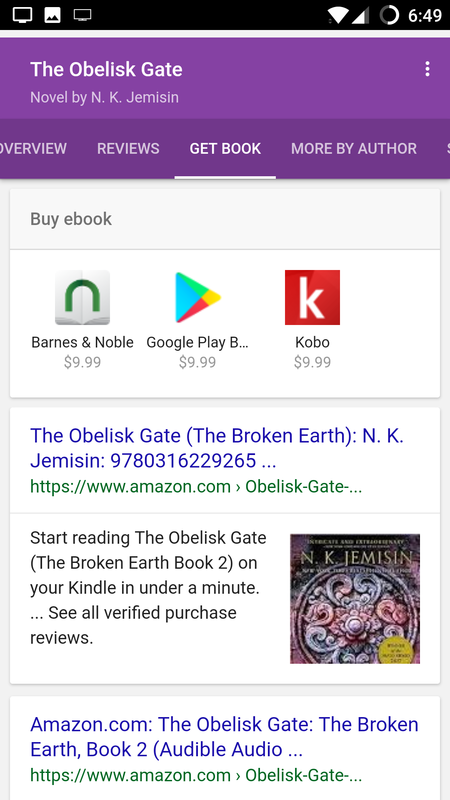 Now that you can easily access your library's catalog from Google search, go ahead and read The Broken Earth series. Two of the three books in it won Hugos, and I know what I'm betting on next year.